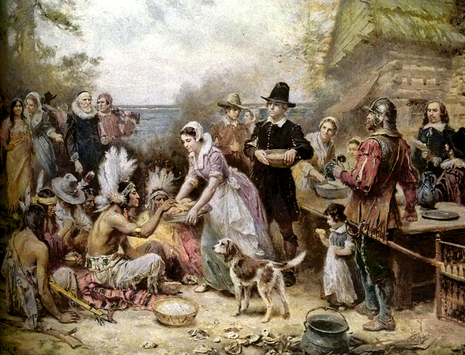 The Pilgrims did not hold a true Thanksgiving until 1623, after a switch from communal farming to privatized farming finally resulted in a larger harvest. Irregular Thanksgivings continued after favorable events and days of fasting after unfavorable ones. In the Plymouth tradition, a thanksgiving day was a church observance, rather than a feast day. Gradually, an annual Thanksgiving after the harvest developed in the mid-17th century. This did not occur on any set day or necessarily on the same day in different colonies in America. William Bradford (March 19, 1590 – May 9, 1657) was an English leader of the Separatist settlers of the Plymouth Colony in Massachusetts, and was elected thirty times to be the Governor after John Carver died. 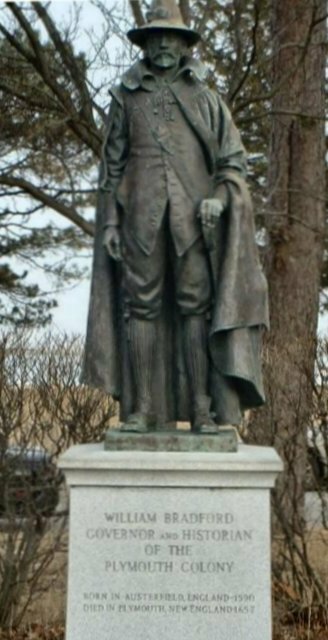 He was the second signer and primary architect of the Mayflower Compact in Provincetown Harbor. 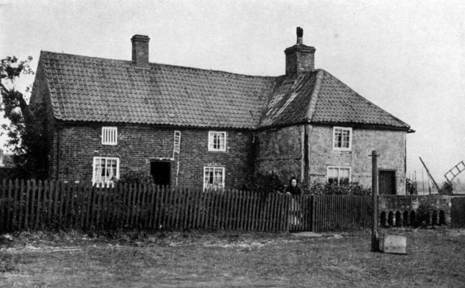 His journal (1620–47), was published as Of Plymouth Plantation. Bradford is credited as the first to proclaim what popular American culture now views as the first Thanksgiving.